Mornings are my favorite time of the day. A cup of coffee warming my hands, a sleepy puppy curled up at my feet, sunlight filtering through my windows while wind chimes faintly twinkle in the breeze; I love mornings. On this particular morning, I’m liking the sound of blueberries. 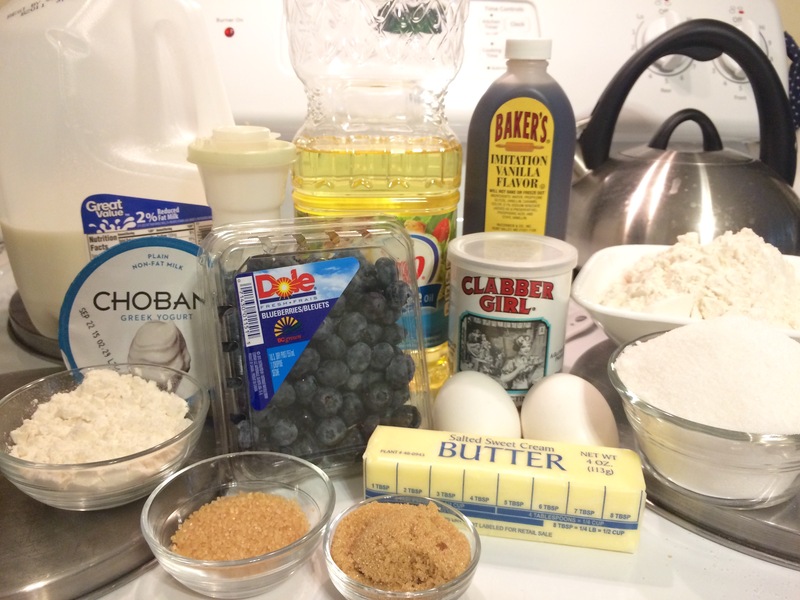 Oh, blueberries + sugar + bread. 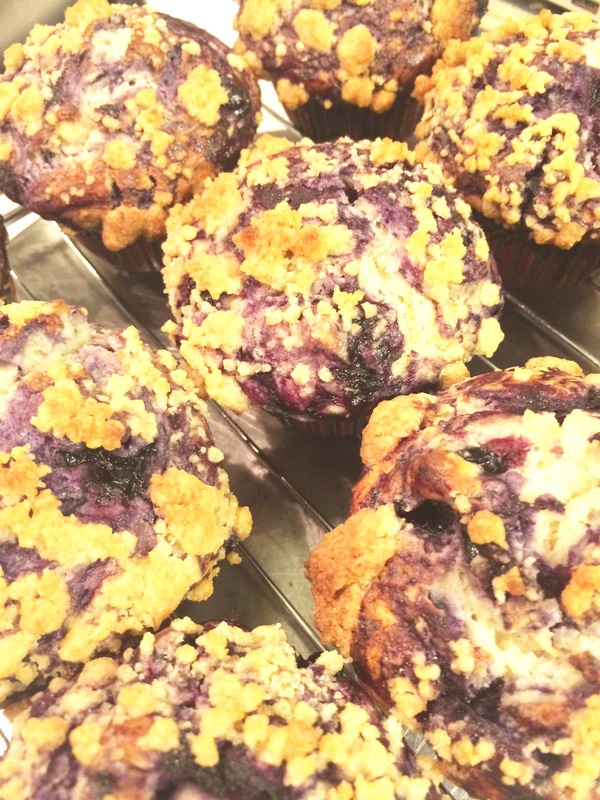 Its decided – Blueberry Muffins. This.is.happening! 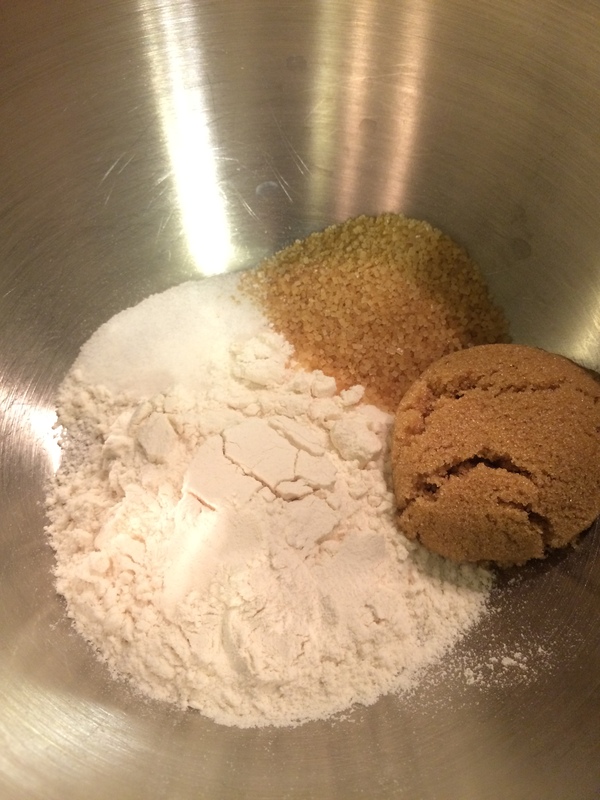 In a small bowl, mix together the RAW sugar, brown sugar, salt, and flour. 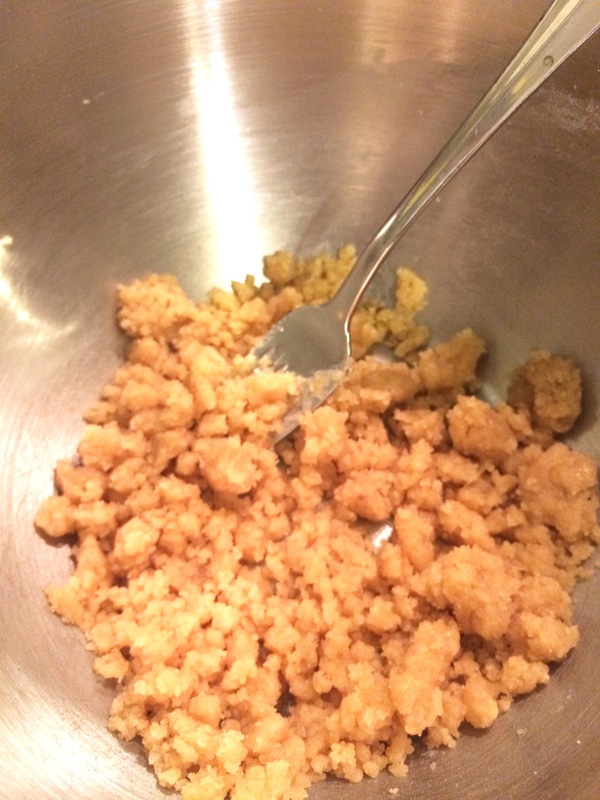 Once thoroughly combined, add the melted butter and stir until the mixture is moist and crumbly. Set this bowl aside until later. 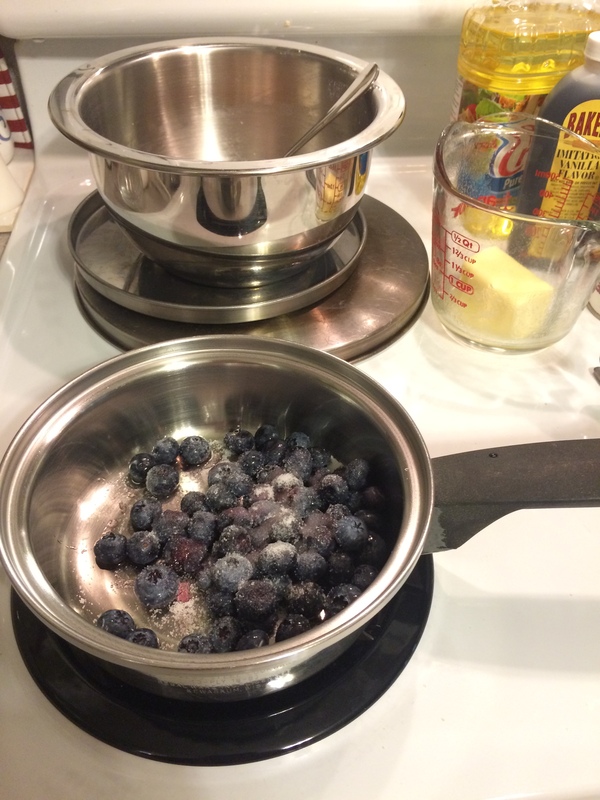 In a small saucepan, reduce 1 cup of fresh blueberries and 1 teaspoon of sugar over medium heat for 5 minutes. 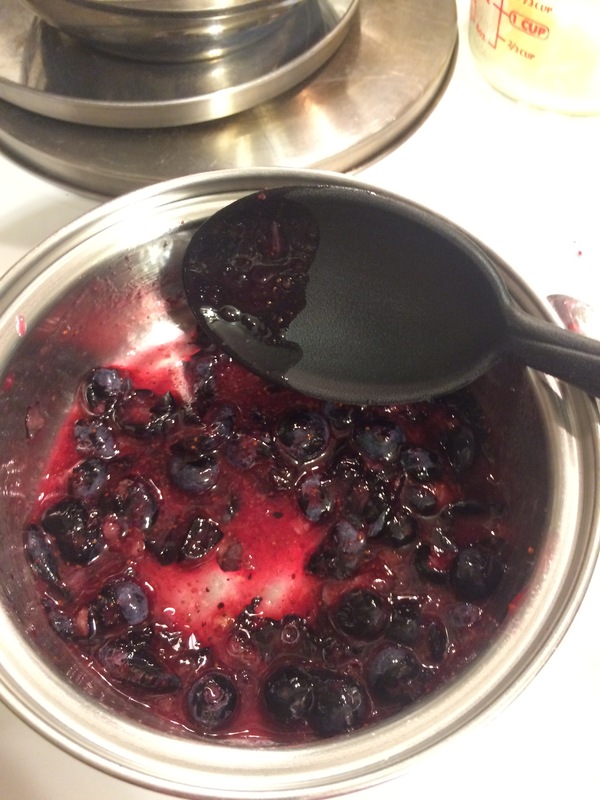 While reducing, mash the blueberries with a spoon and stir the sauce constantly to prevent the sugar and blueberries from sticking to the saucepan. 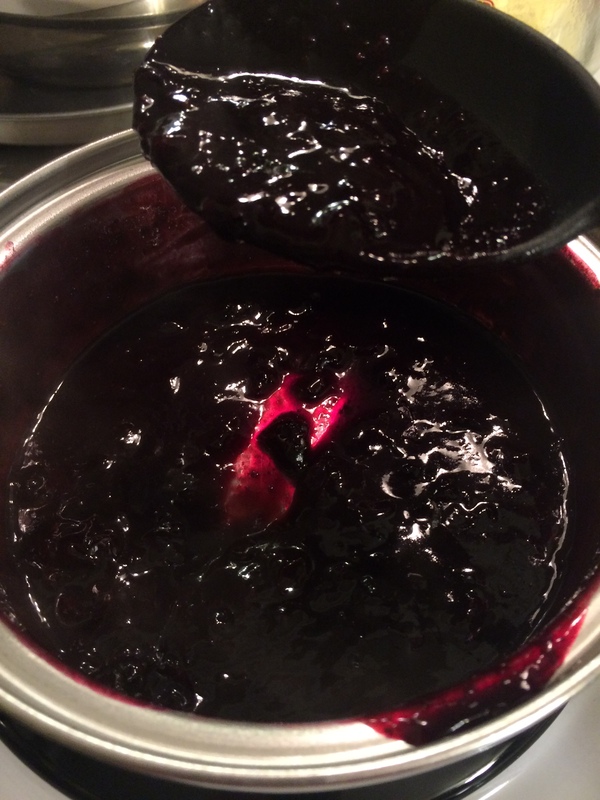 The blueberry sauce should be very thick when done reducing in the saucepan. Once thickened, remove the saucepan from heat and set aside until later. 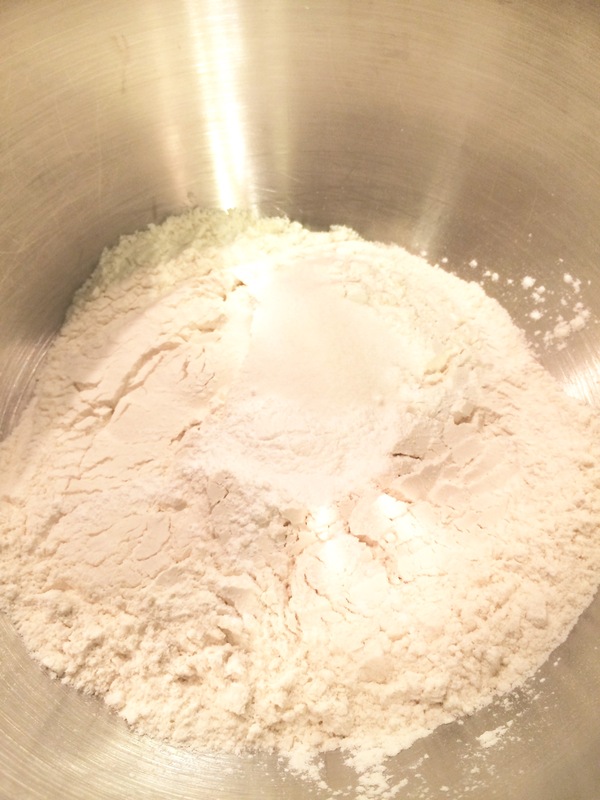 In a large mixing bowl, mix together the flour, baking powder, and salt until well blended. Set the bowl aside. 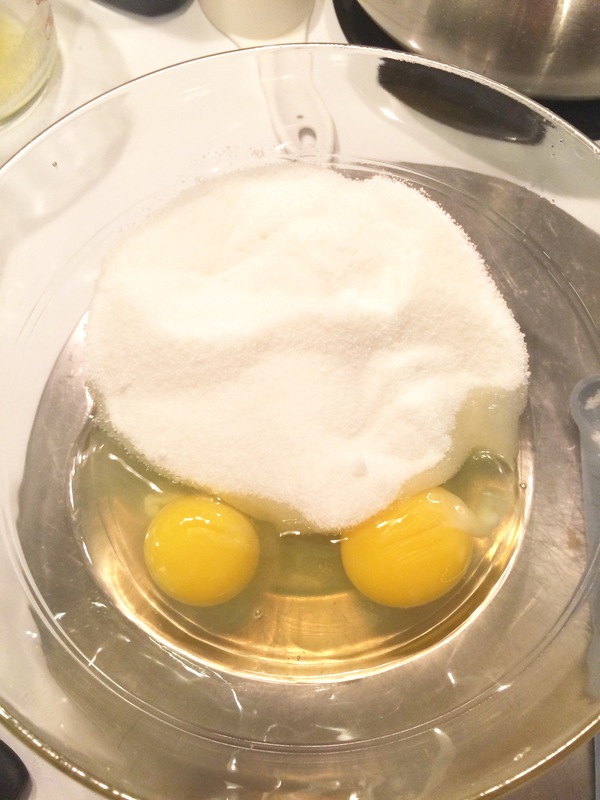 In a different bowl, medium in size, whisk together the 2 eggs and 1 1/8 cups of sugar until it reaches a thick consistency. 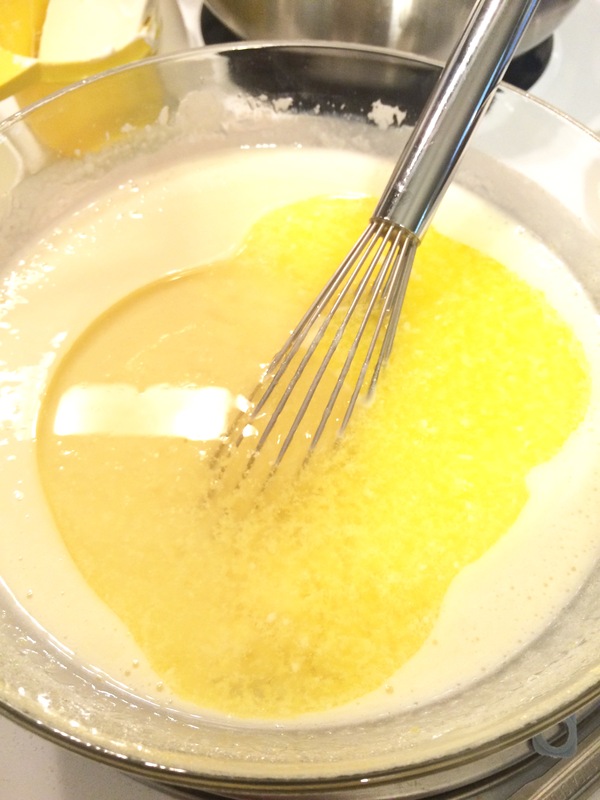 Add in the melted butter and oil and whisk until well combined. 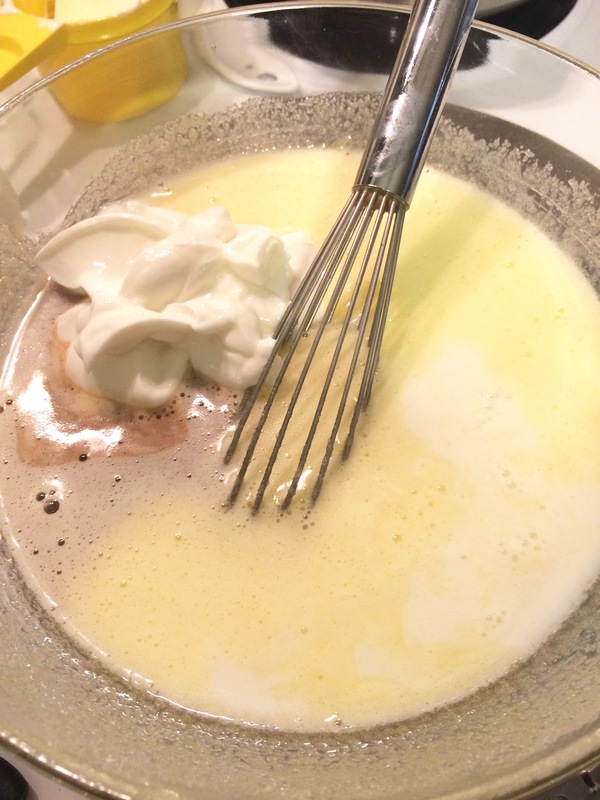 In the egg bowl, add in the yogurt, milk, and vanilla extract. Whisk well. The sauce should look pale yellow in color and be very creamy. 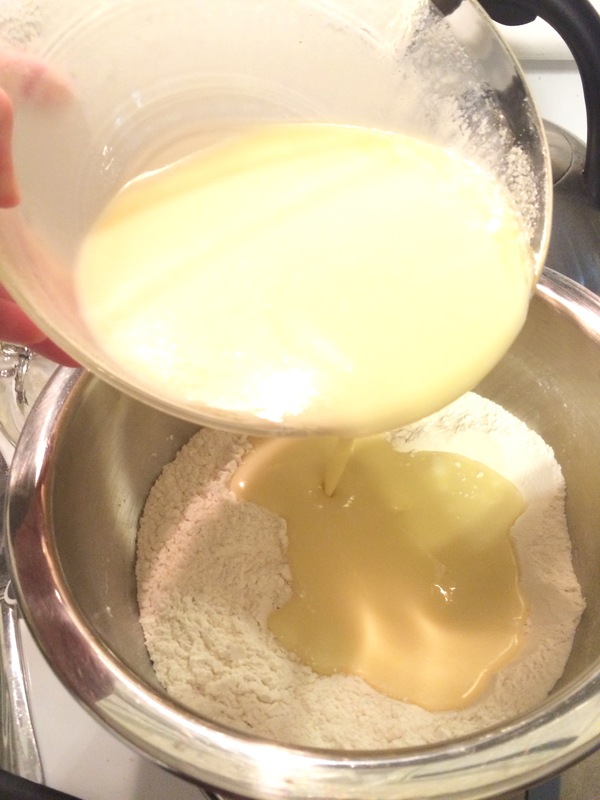 Pour the egg bowl into the flour bowl and fold to combine. 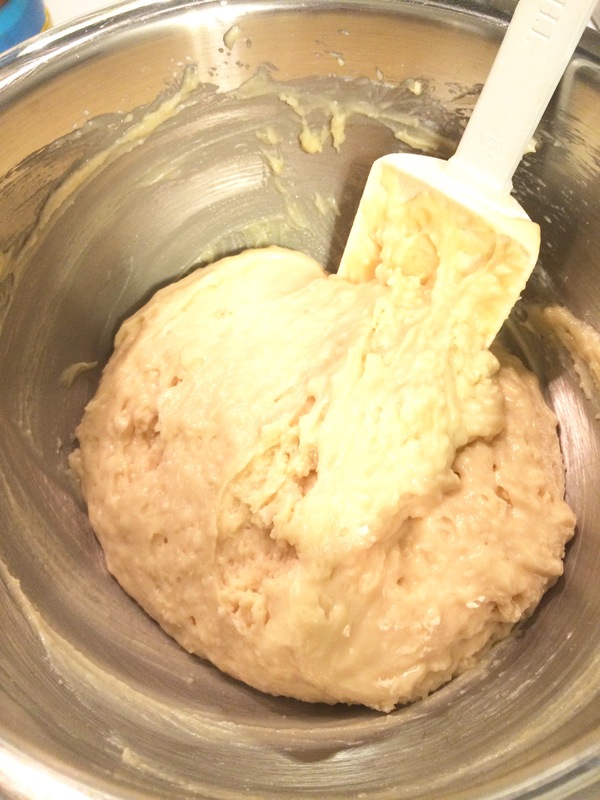 The batter should be somewhat lumpy. 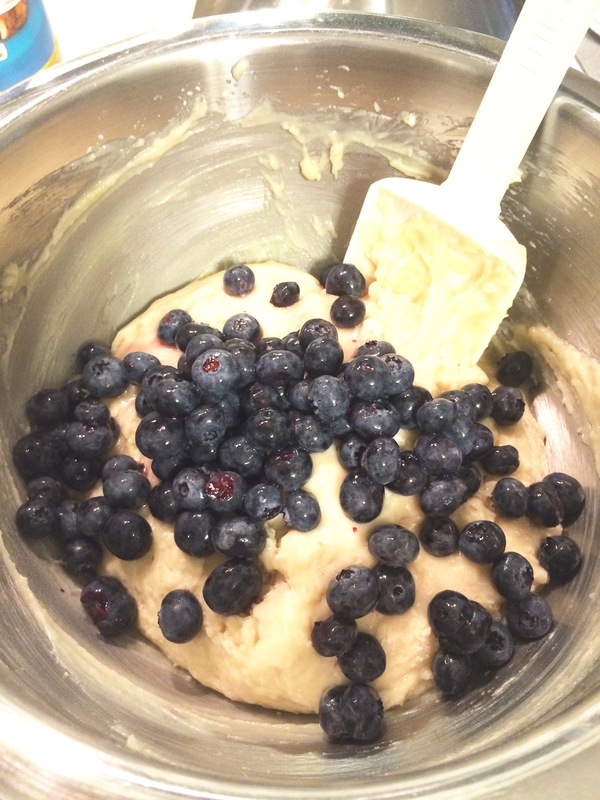 Add 1 cup of fresh blueberries to the muffin mixture and fold in gently. 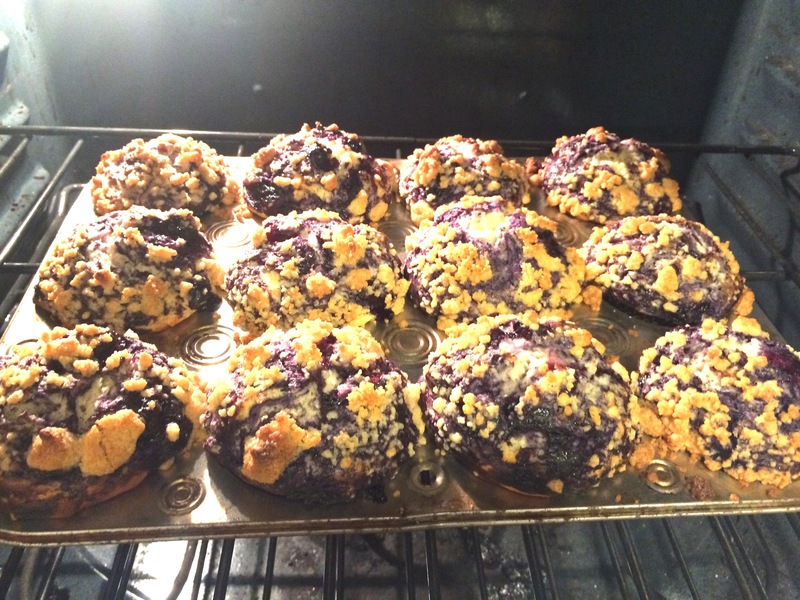 Be careful to not burst the blueberries unless you’d like purple-blue muffin mix. Fill a muffin tin with baking cups or spray each muffin tin very thoroughly with cooking oil to prevent burning/mixture sticking to the tin. 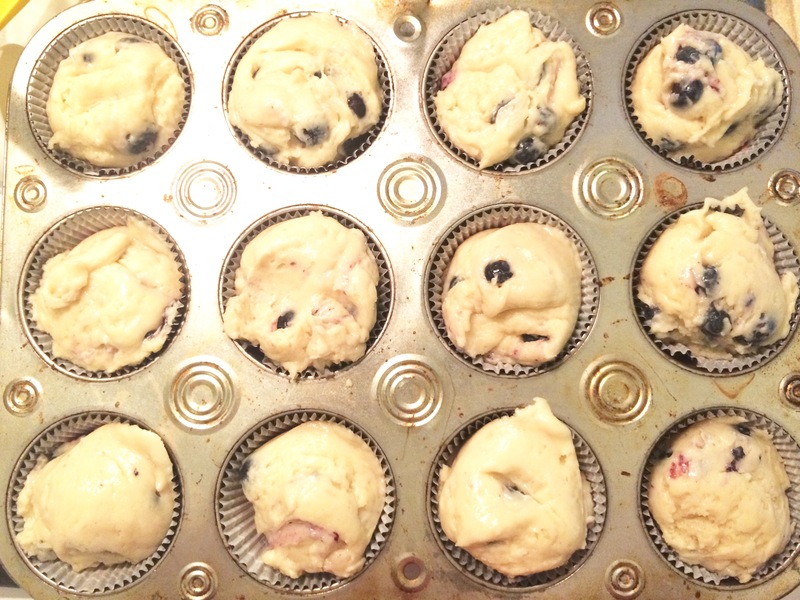 Scoop the muffin mixture into each muffin baking cup. The batter should completely fill the muffin cup. 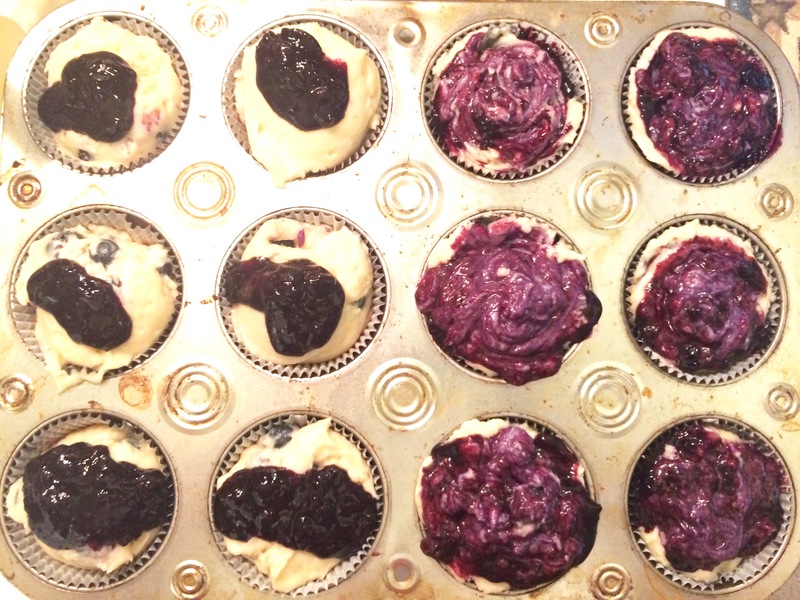 Once the batter is in the muffin cups, spoon 1/2 – 1 teaspoon of Blueberry Sauce on top of each muffin top. 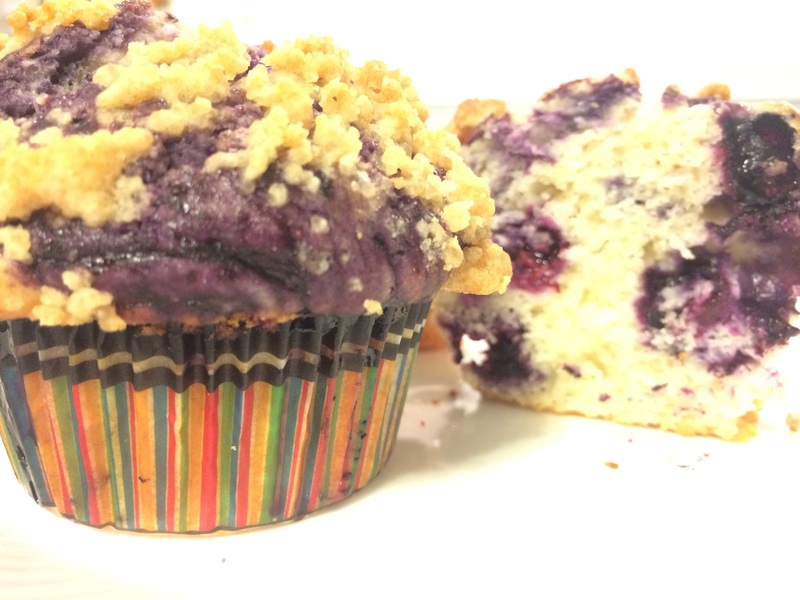 Take a toothpick and swirl the Blueberry Sauce into the center of the muffin mixture. 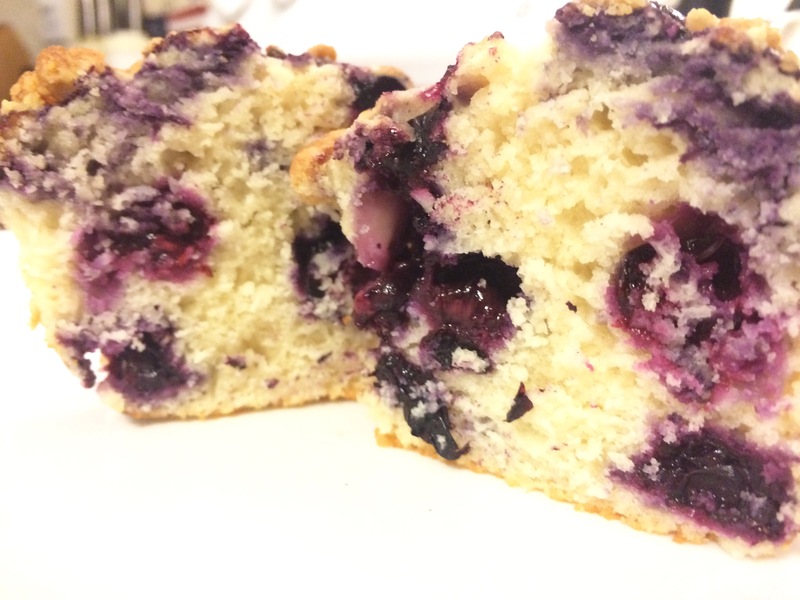 In my photo above, the 6 muffins on the left have the blueberry sauce on top, and the 6 muffins on the right have the blueberry sauce swirled into the muffin mixture. 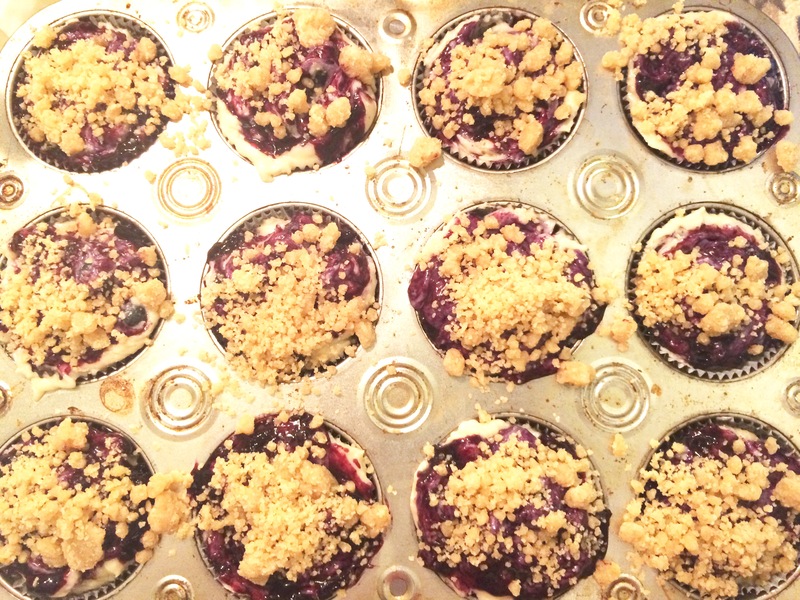 After the sauce has been swirled in, sprinkle the Streusel Topping over each muffin. Bake in the oven for 20 – 25 minutes. The topping should be golden brown and a toothpick, if inserted into the center muffin, should come out clean. Let the muffins cool in the muffin tin for about 5-10 minutes before being transferred to a wire rack to finish cooling. These muffins are absolutely FABULOUS!!! My family has already requested that I make these again next week, or as soon as this batch has disappeared. 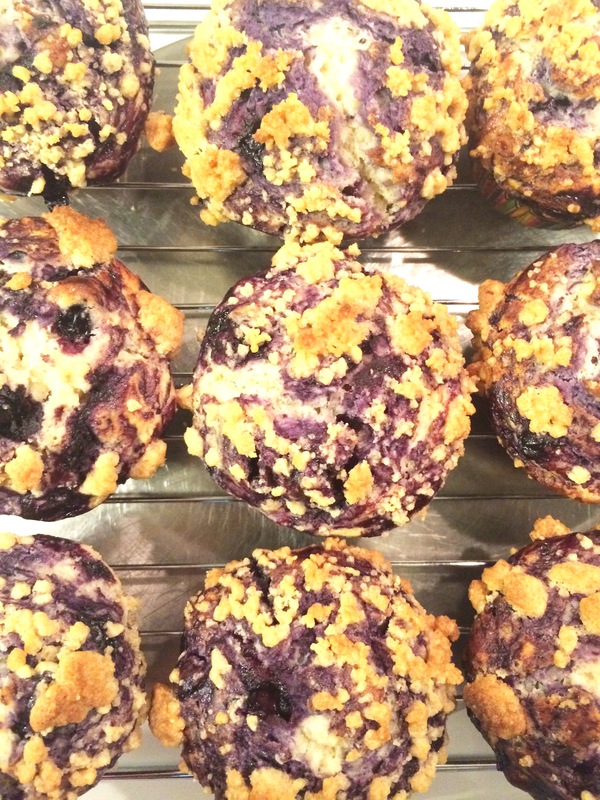 I’m already dreaming up ways to adapt these muffins with other flavors as well. I can’t wait to experiment more with this recipe! I found this fantastic recipe on Honestly Yum‘s website. I did make some alterations to their recipe, but if you’d like to view and bake from the original, please click here.